This post about high tech holiday gift ideas and technology for teens has been sponsored by Intel. All opinions expressed here are my own. When the kids were young, gift giving was easy. They were pretty happy with just about everything they found under the tree. Heck, when they were really little, all they wanted was the empty box and bows to play with. Now that they are teens, gift giving has gotten more challenging. Of course, like most teens, they are constantly tossing out plenty of high tech holiday gift ideas in addition to new clothes and the all-purpose ‘cash’ option. However, shopping technology for teens can get tricky and since returning items is a HUGE hassle, you want to make the right choice the first time! Keep reading for some tips on shopping technology for teens and get some great info about how Intel can help YOU be a high tech hero! Shopping technology for teens isn’t as easy as ‘Hey mom, I want headphones’ and you going to the store to buy them. Nope. Do that and your kid will probably say ‘Oh, I didn’t mean THOSE headphones!’ Then you are stuck in the return line the week after Christmas or shipping something back to whatever online store you bought it from. Neither of those things is remotely enjoyable. Here are some ideas on how to be a high tech hero on Christmas morning and get them something they love the first time around! Ask for specifics: My daughter has this down to a science. She makes a list in her ‘note’ app on her phone. Then she shares it with me. It includes links to items she likes and includes colors, styles, etc. This makes gift giving easier, although it does take away some of the surprise. Get advice from in-store associates: I like shopping in store so that I can ask the employees questions about the devices I am purchasing. Don’t rely on package details if you don’t know what you are doing. Know what they love: Sometimes you just want to surprise your teen, right? Keep in mind the things they truly love to do. Are they gamers? Do they really love being outside? Find the technology that fits best with their personality. Choose speed and versatility: Technology gifts today need to be fast. Computers, especially, need to be able to upload, download, stream data, and process things at pretty much the speed of light. Choose a computer that is fast enough to meet their needs and versatile enough to change focus when their interests move in a different direction. Need High Tech Holiday Gift Ideas? 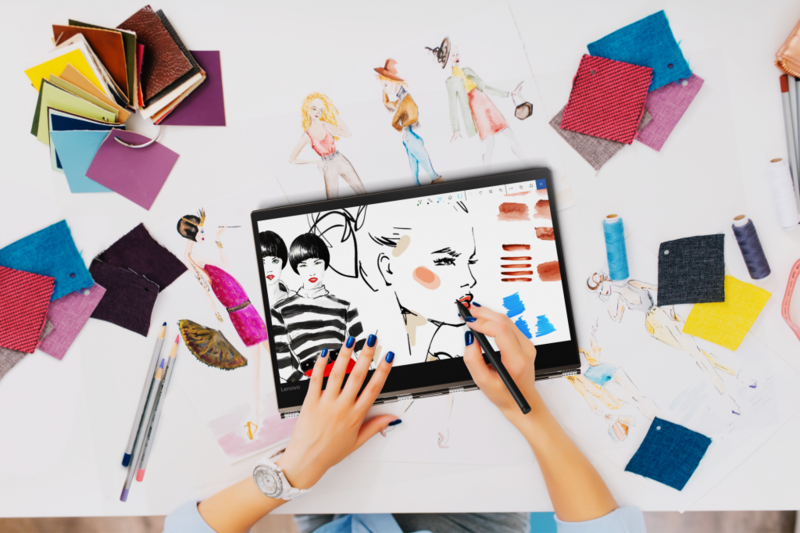 The Lenovo 920 Yoga powered by Intel is a fast and versatile computer that will make you a high tech hero this holiday season. 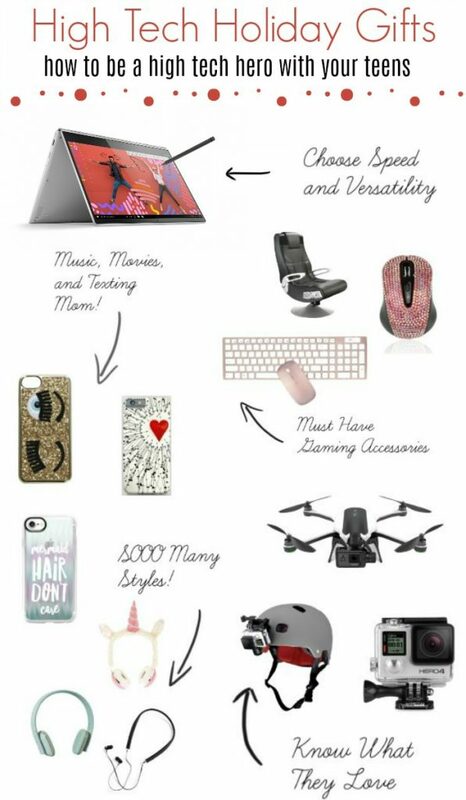 Want high tech holiday gift ideas that are FAST and versatile? This is it! Your kids will be able to do more with electronic gifts, like drones and VR headsets when Intel is under the tree. It has the power of an 8th Gen Intel® Core™ processor and the convenience and security of Windows* 10. With Lenovo 920 Yoga powered by Intel, they can watch 4K UHD movies for up to 10 hours. They can also play demanding games and power immersive Virtual Reality (VR). This is a computer that will make all your other high tech holiday gifts even better! Whether you have a son who is into gaming or a daughter who is into fashion design, this computer under the tree will make YOU a high tech hero this holiday season! Learn more about Intel and make sure you have it under the Christmas tree! Are YOU shopping technology for teens this holiday season?